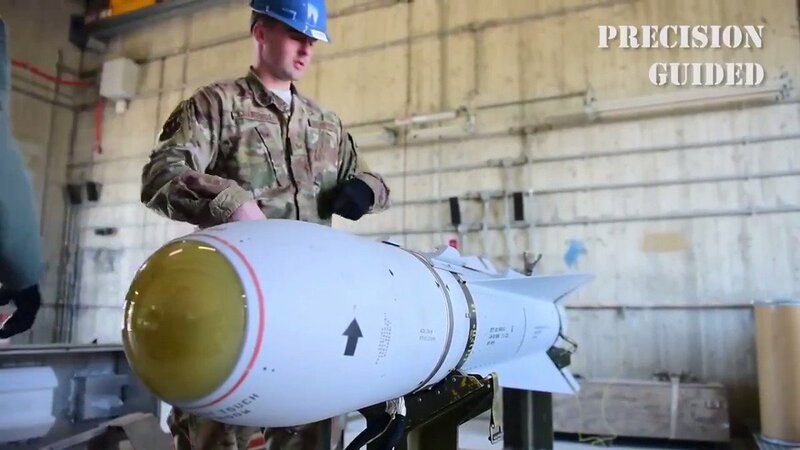 48th Fighter Wing and Royal Air Force personnel participated in the latest iteration of exercise Point Blank in Yorkshire, England, March 22, 2019. The 388th Fighter Wing’s 4th Fighter Squadron wrapped up flying operations with the F-35A Lightning II in an exponentially more challenging exercise Red Flag, 19-1 Feb. 15. U.S. Air Force and Royal Air Force leaders met to discuss bilateral relations and sign the Combat Air Interoperability Working Group Charter at RAF Lakenheath, U.K., Nov. 27. The recent restoration of 1st Lt. Jarvis Offutt’s grave was sparked when a Royal Air Force rivet joint specialist, assigned to RAF Waddington’s 56 Squadron visited the grave to pay respects to the former squadron member in December 2017, at Forest Lawn Memorial Park, Nebraska. Distinguished visitors from the United Kingdom’s Royal Air Force and the Royal Saudi Air Force visited Travis Air Force Base April 26 through May 2, 2018, to get a first-hand experience of the 821st Contingency Response Group capability to provide expeditionary mobility support. The U.S. Air Force Concert Band and Britain’s Central Band of the Royal Air Force performed together in the RAF Centenary Concert at the Daughters of the American Revolution Constitution Hall in Washington, D.C., April 16, 2018. Aircrews from Ellsworth Air Force Base worked side-by-side with members of the 582nd Helicopter Group out of F.E. Warren AFB, Wyoming and joint terminal attack controllers from the England’s Royal Air Force during a joint-training exercise over the Powder River Training Complex in western South Dakota Dec. 4-8, 2017. The Airlift/Tanker Association honored Sir Alan Cobham as their 28th Hall of Fame inductee Oct. 5, 2017, as they held an unveiling ceremony of his bust now located in Scott Air Force Base’s Walk of Fame area. Members of the 14th Airlift Squadron from Joint Base Charleston, South Carolina delivered 17 pallets containing more than 129,000 pounds of food and water to St. Croix, Virgin Islands in support of relief efforts after Hurricane Maria, Sept. 24, 2017. The 505th Command and Control Wing hosted subject matter experts from around the world during a ground-breaking exercise here July 17-21, 2017, focused on developing the concept of multi-domain command and control. 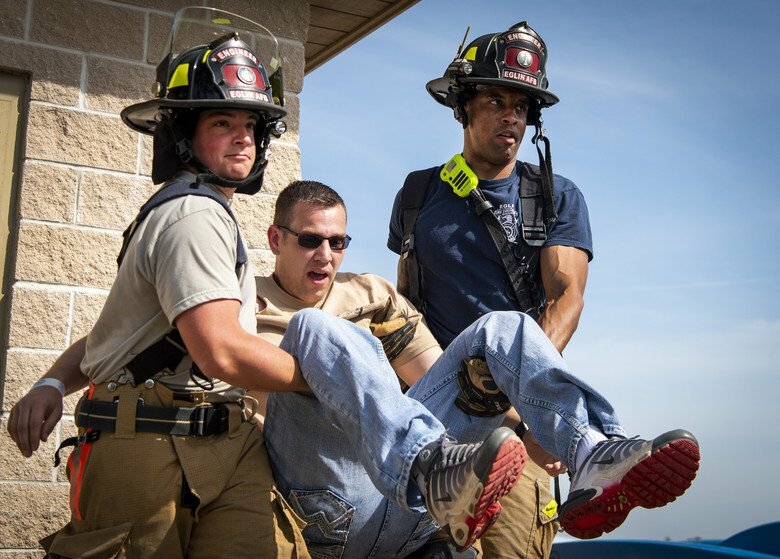 The second half of Exercise Mobility Guardian began Aug. 6, 2017, and will focus on training aircrew on advanced tactical air operations. On this look around the Air Force, Gen. Jay Raymond, the Air Force Space Command commander, unveils three major space initiatives and the U.S. Air Force will partner with the Royal Air Force and French air force for Atlantic Trident 2017. 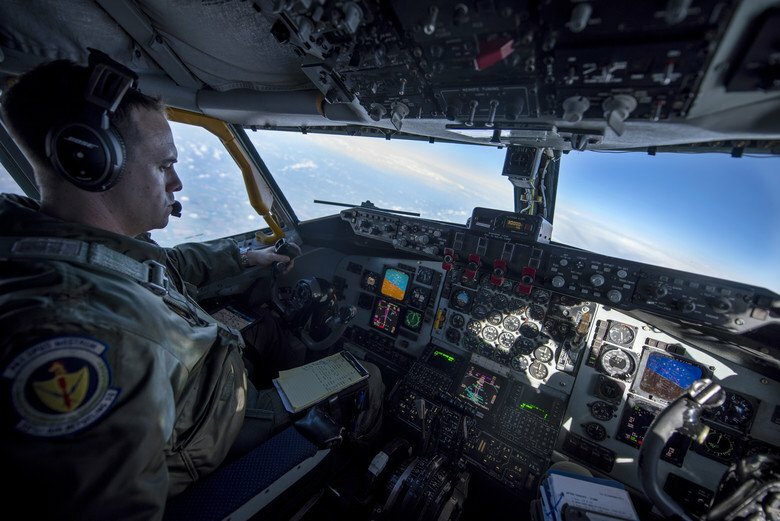 The 55th Wing marked another historic milestone when a Royal Air Force RC-135 Airseeker aircraft diverted to Offutt Air Force Base after experiencing landing gear problems during a joint exercise at Nellis AFB, Nevada. As his mind wandered to his hunger and lack of sleep, the sniper turned his thoughts back to the mission at hand. Staff Sgt. Joseph Crotty, the 822d Base Defense Squadron NCO in charge of standards and evaluations, would have to stay focused to get through this training. Picture yourself as the aircrew of a military aircraft, dealing with an unfortunate situation that forces you to eject behind enemy lines. In order to survive, you must evade the enemy all while communicating with the appropriate personnel to be rescued. To train for this type of situation in a coalition capacity, both the U.S. Air Force and Royal air force practiced in the hilly terrain of Hinderclay, March 5.